This lot features a full ticket from the most recent Super Bowl LII with the Philadelphia Eagles defeating the New England Patriots. The ticket remains in mint condition. 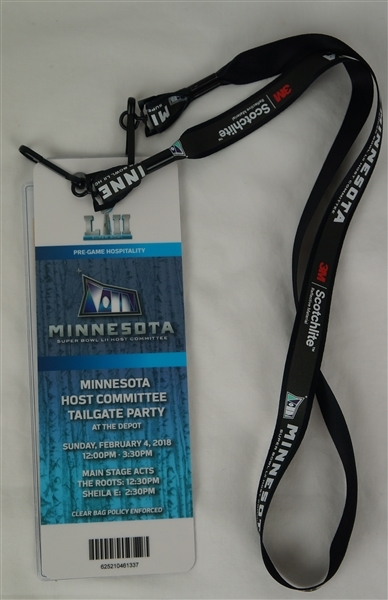 Also included is the protect lanyard as well as pre-game hospitality pass. 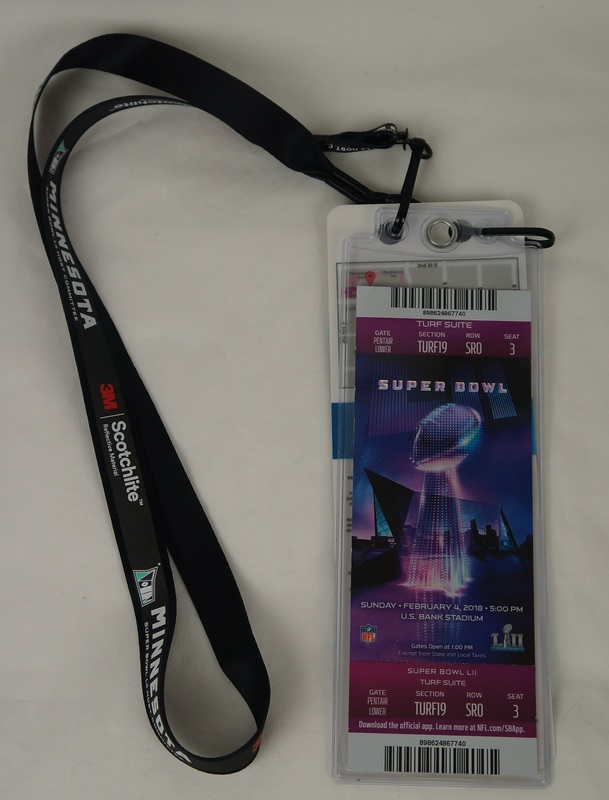 The came direct from a credentialed Super Bowl host representative.